If you have a serious plumbing problem, Plumbers Dalkey can always help. We GUARANTEE a 60 minute call out response time for all serious emergencies. Our team of Dalkey plumbers don’t just cover emergencies though, we take on all aspects of standard plumbing work. We are always happy to offer free no-obligation advice and quotes to anyone and will even come out to you free of charge at a time that suits to assess larger jobs. We have been established for many years now and we have some plumbing experts with over 35 years experience in the private and commercial plumbing industry, so we are always here to help you. We are a fully insured company with public and professional indemnity insurance and all of the work we undertake we stand by. Our “plumber Dalkey” warranty gives you 1 year standard parts and labor cover so you can always rest easily knowing that you are employing and honest, reliable company who are 100% focused on friendly service to their clients. No call out fee, no hidden charges from Plumbers Dalkey. We like to think that our Dalkey plumbers provide the ultimate service. They take pride on our extremely competitive prices and operate completely transparently. Plumbers Dalkey don’t charge for call outs, they are happy to give free professional no obligation quotes and our customer service is always regarded as second to none. We don’t ever have hidden fees or charges, we don’t charge traveling time or parking fees. Our vans are always fully stocked, so generally there isn’t a need to be “sourcing parts”, though obviously we can’t carry around all parts. If you live in the south side of county Dublin area and need a Dalkey plumber call us on 01-6874850, we would be delighted to offer you any assistance you may require. We provide a 24 hour on call service throughout the year. This means you will never be stranded. We can guarantee that we can have a local emergency Dalkey plumber with you in under 60 minutes in your time of need. We take our hiring very seriously to make sure that our exceptionally high standards of workmanship are adhered to. We ensure that all of our teams qualifications have been subjected to rigorous checks. We make sure that they have the relevant tools, skills and experience to attend to all of our customers. All of our heating engineers are gas safe registered, they have completed industry recognized courses, and are R.G.I. accredited. 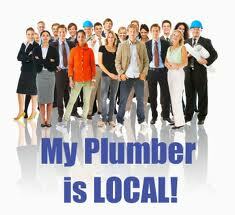 For all your plumbing needs call your local plumbers in Dalkey today on 01-6874850.